Does your inbox get cluttered with junk email and now it’s so overwhelming that just the thought of unsubscribing from each one is exhausting? If you’re looking for an easy way to clean up your inbox, this week’s Tool for Success: Unroll.Me is for you. 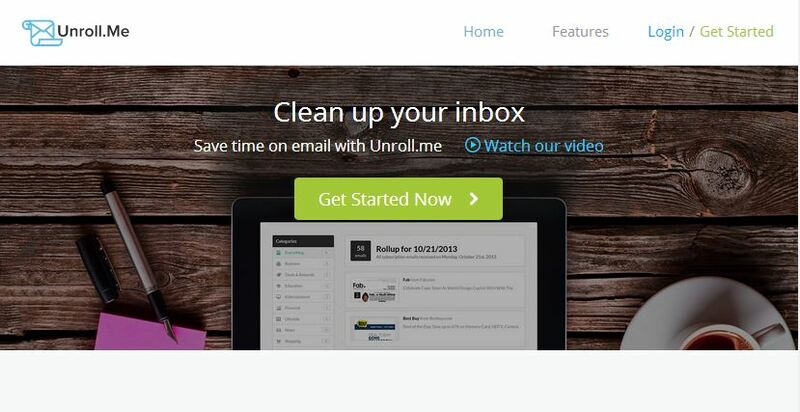 Unroll.Me is a free tool that makes organizing your inbox a breeze. In just a few clicks, choose the emails you don’t want anymore and Unroll.Me will unsubscribe from them for you. The emails you do want to keep are added to a digest called “The Rollup.” Once a day, “the rollup” appears in your inbox with all the subscriptions you decided to keep. No need to look through multiple emails, just one email with all your favorites. What tool do you use to help organize your email? This entry was posted in Tools for Success and tagged email, free, Organize, Self-Help, tips and tricks, Tools for Success, Unroll.Me. Bookmark the permalink.